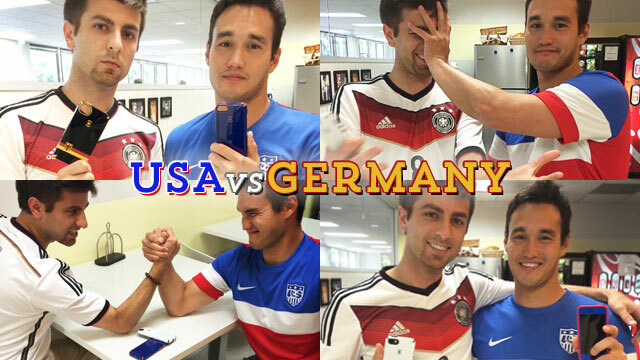 It’s time to #GETAMPED about one of the biggest games of The World Cup tomorrow at 9am PST: USA vs. Germany. And you can bet that Speck- at our #notsocorporateHQ– has got our fair share of soccer rivalries. And what better way than to hear the games over 2x louder & clearer with our latest CandyShell Amped? However you watch The World Cup this year, get your game face on and wave your hands in the air like you just don’t care- since you’ll have your phone in hand, protected by military-grade protection from Speck! Here’s hoping for a GOOOOOOOAAAAL!